Posted by Shri Footring on May 16, 2018 in DigitalCapability, FE and Skills. Posted by robbristow on November 14, 2017 in Events, FE & Skills Coalition, FE and Skills. Posted by robbristow on November 8, 2017 in Events, FE & Skills Coalition, FE and Skills. Posted by Shri Footring on April 5, 2017 in Data, FE and Skills. Posted by Shri Footring on April 4, 2017 in Data, FE and Skills. Posted by Shri Footring on April 3, 2017 in Data, FE and Skills. 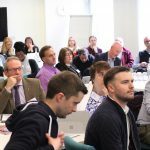 Posted by Matt Ewens on March 11, 2016 in FE and Skills and tagged CPD, digifest, digital capability. Posted by James Clay on January 18, 2016 in FE and Skills and tagged digital capability, fe colleges, technology, training and development. Posted by Paul Bailey on November 7, 2015 in Data, FE and Skills, Summer of Student Innovation and tagged Analytics, Employability, SOSI.